Must-Hear Radio! Bridie and Fernando from 'Pure in Heart' speak about the importance, and challenge, of living chastely in a broken post-sexual revolution world. What freedoms does the First Amendment to the Constitution actually cover? Delve beneath the surface on the meaning of the events that lead up to Jesus' sacrificial death. Great interview with Cory Solomon, Hollywood director, on his history-making movie, 'Unplanned'. What is hell? Is it real? How would one end up there? Is it everlasting? These questions and more are tackled -- beneath the surface. Beneath the Surface - What Is Truth? There can be no happiness outside of truth. What is truth? Let's delve beneath the surface. On the Solemnity of the Annunciation, Paul and Kent discuss one of the three greatest moments in the history of the universe: the Incarnation. Lent is a time to meditate on how best to overcome temptation. Christ was tempted in the desert in his 40 day journey, and we are tempted every day in some form or another. Jesus taught His disciples to pray that the Father 'lead us not into temptation'. What does He mean? Let's go beneath the surface. Our culture of death has recently crossed yet another red line: infanticide. Allowing born babies to linger and die after "failed" abortion. How much does it matter? Let's delve, beneath the surface. What are the virtues and why are they vital in the moral life? Is a virtuous life the only way to hap piness? Is there a difference between natural and supernatural virtues? Hear my guests John Tuturice and writer Stephen Beale speak on these questions. A BTS look at the why of abuses in language: blasphemy, profanity, and vulgarity. What is the reason and purpose for fasting? One NT passage that distinguishes Christians from Jews and from the world is Jesus' command to love one's enemies. Is it possible? With God's grace it is not only possible, but is the only hope of bringing peace to a fallen world. We can use Christ cleansing the Temple in the Gospels as a metaphor for the continuous need of the Church to be cleansed as well as the temples of our own hearts. I go beneath the surface with my guest Tom Murphy on the purpose of sacrifice and penance and the challenge of living Lent in an age of self indulgence. 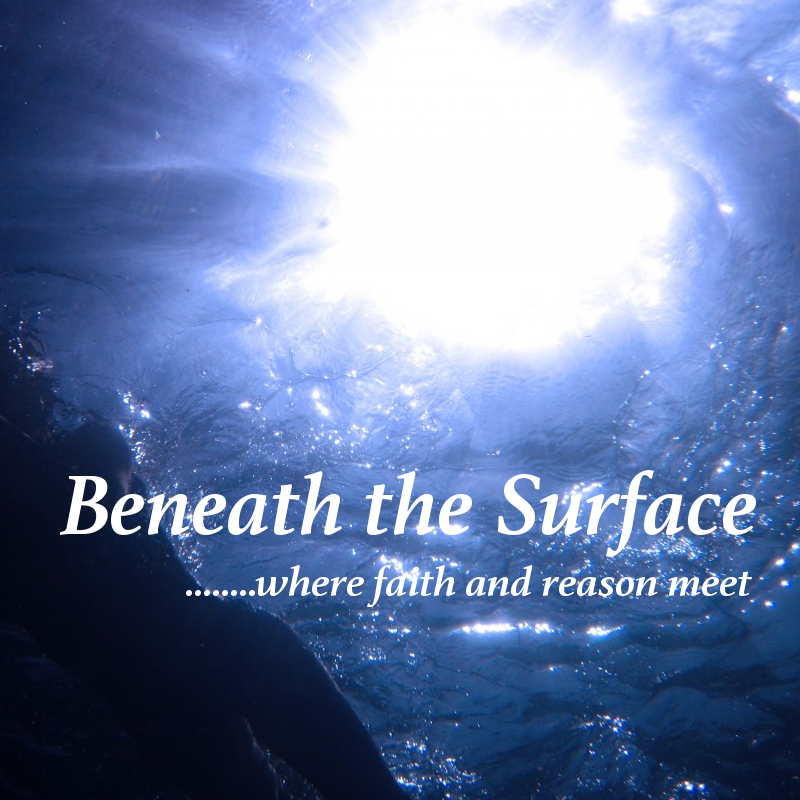 Delve beneath the surface with Paul and guest on how God can be both very far and very close - simultaneously. Christianity includes the best of Deism and of Pantheism in its understanding of God as being separate and transcendent of His creation, yet closer and more intimate to us than we are to ourselves.